Do you find that variety is the spice of life? Guess what! Me too! 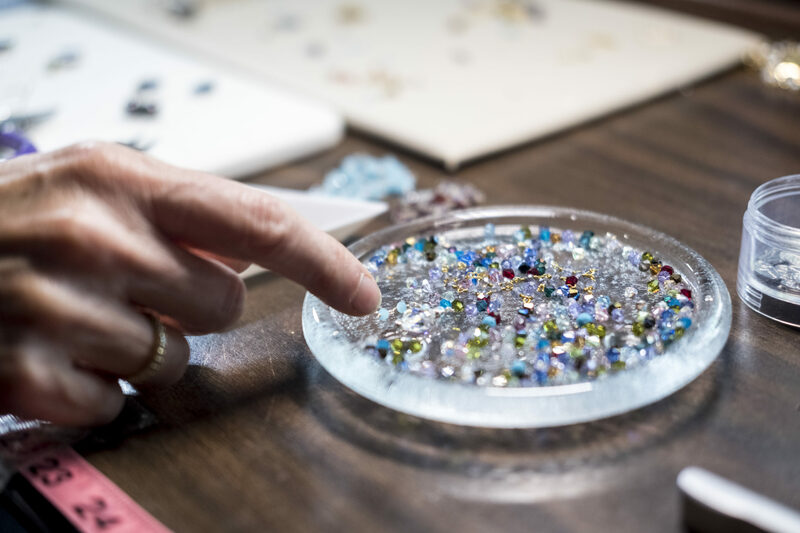 As I reflect on the style of jewelry I love to create, the answer is many! Are you thinking casual & beachy? Or you’d like a custom-made original just for you or a loved one? From elegant bridal to everyday wear, I welcome you to find something that tickles your fancy as you browse my collections. My career in jewelry began in 1989 on the beautiful island of Kauai, Hawaii. Friends had invited me to work with them and learn the art of hand modeling jewelry from polymer clays. After the wild experience of surviving Hurricane Iniki in 1992, we moved the business to Maui. Several years later I created my own line and company, which has since evolved to Seyana Jewelry. Here on the slopes of Haleakala, I live on a two-acre organic farm with my husband Johno and our two truly adorable mini poodles, Abbey and Bertie. 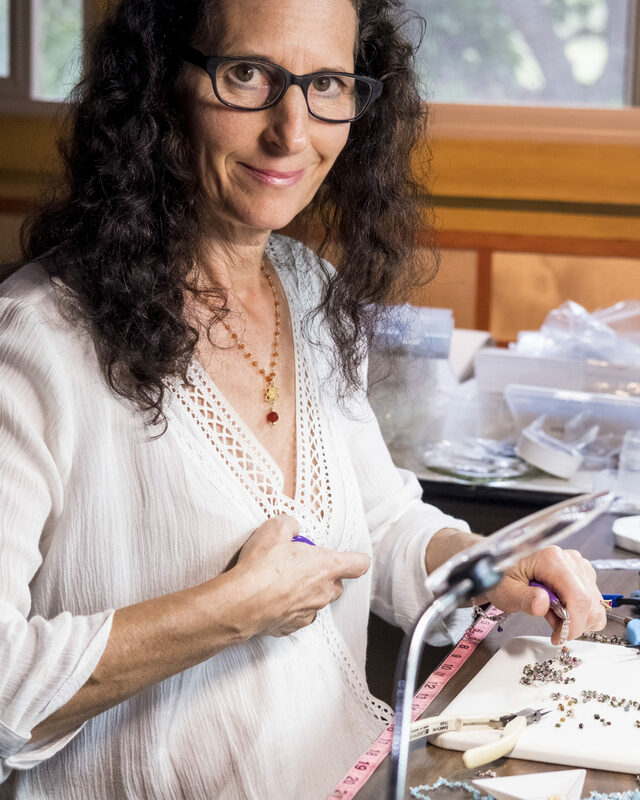 I love my studio time joining elements of gemstones, crystals, pearls other unique materials to form wearable pieces of art. Playing with different shapes, textures and colors lead me to that satisfied feeling; “Yes, this looks sweet!” and then Voila! Something new for you! 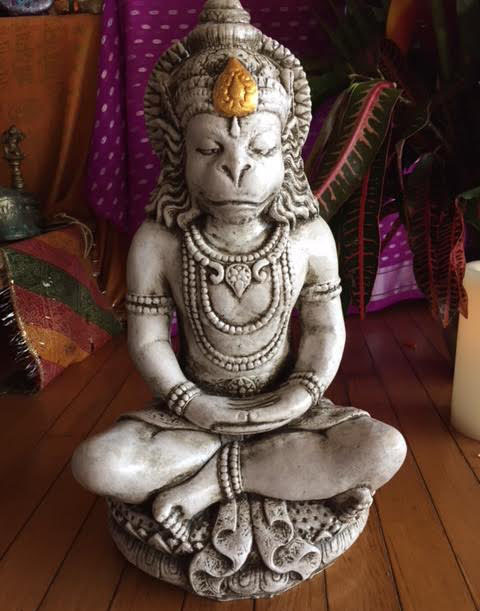 I often think about how the pieces we create are touching lives so far and wide, sharing the aloha they bring with them. There is a gentleness in our way of life here in Hawaii I find mirrored in the hearts of my island family. 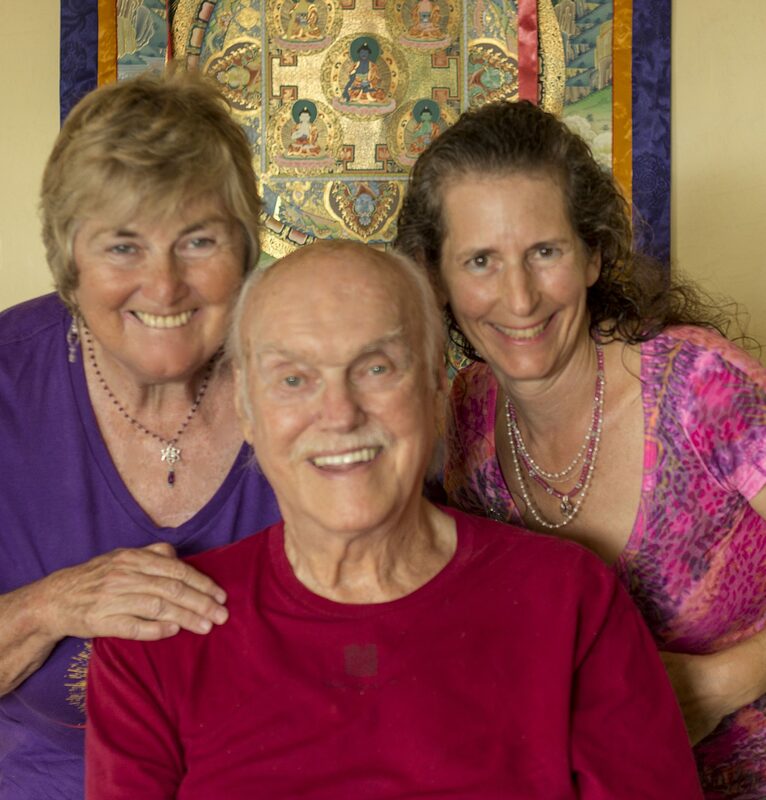 On Maui, we are blessed to have a beautiful teacher named Ram Dass who has chosen to make Maui his home. It is through this precious relationship the joy of creating the SpiritGem collection came about. Our tropical islands have been my muse, an inspirational breath of color, texture, and sweetness. Hues of sunrise, sunset, twinkling starry nights & deep blue ocean reflect in the design of the jewelry. 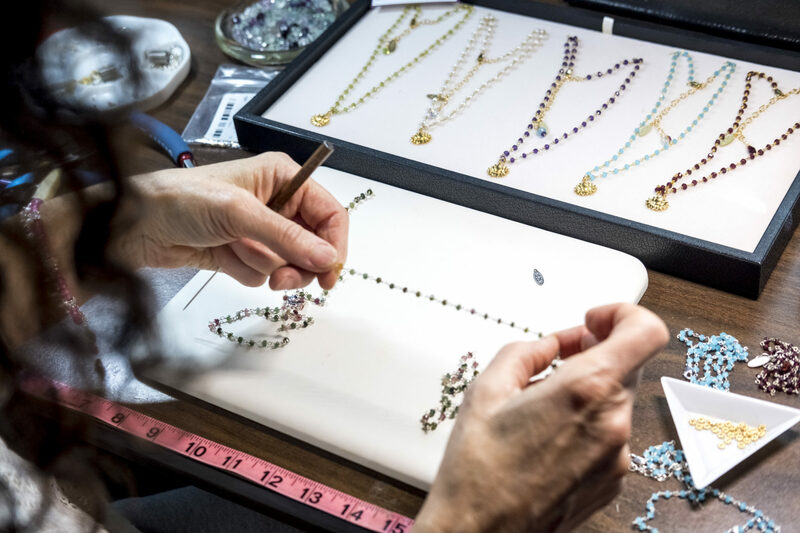 My vision is to create jewelry that is unique, timeless, adorn-able and always crafted with quality and care. Creating relationships with my clients and customer service is top of mind. Sign up now and receive a FREE Pearl Ring & FREE U.S. shipping with your first purchase. 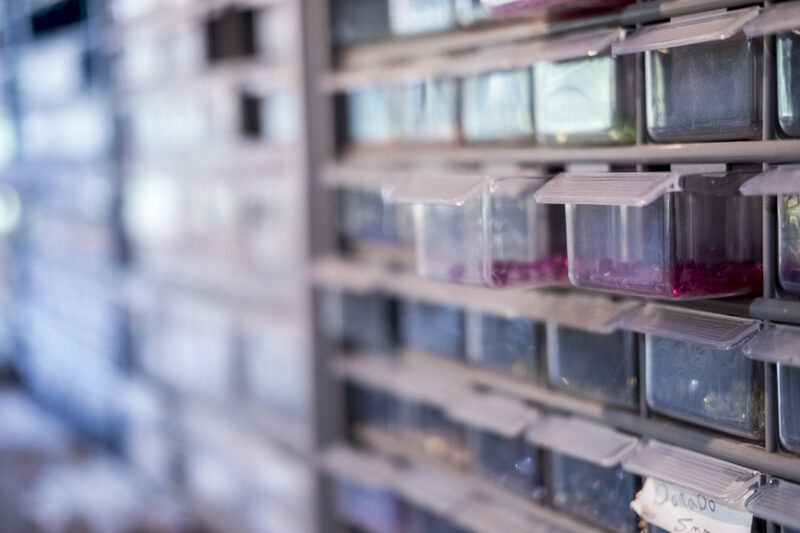 As an exclusive member, you’ll be first to hear about new collections and special offers. 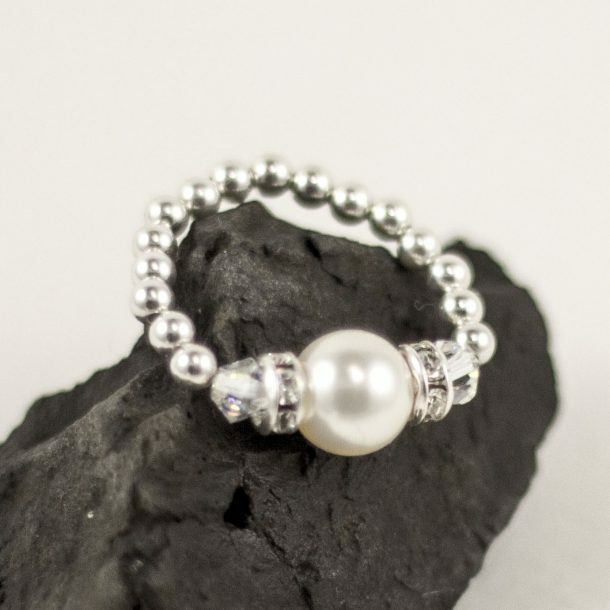 Your free Pearl Ring is comfortably stretchy, handmade with sterling silver beads, a Swarovski Crystal Pearl and crystals. These are not yet on the website so an exclusive just for you. A $30.00 VALUE!